Versatile Indo-Canadian dancer, choreographer and musician Bageshree Vaze creates contemporary works reflective of her North Indian cultural influences. Formally trained in both Kathak and Bharatha Natyam styles, Vaze strives to preserve the integrity of traditional North Indian dance and music, while showcasing the diverse parameters of the Kathak style and its intricate footwork and rhythms. 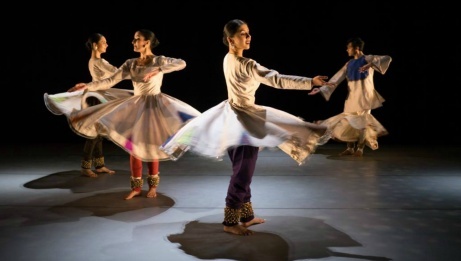 In Paratopia, Vaze explores an alternate reality through dance, combining Kathak and urban/contemporary dance languages to the backdrop of Indian percussion (tabla) and beat boxing. Inspired by the Matrix movies, Paratopia connotes innovation and synthesis – envisioning an alternate world and a future of dance that goes beyond time and space. Paratopia premiered in 2015 at Toronto’s Harbourfront Centre Theatre as part of the DanceWorks series. 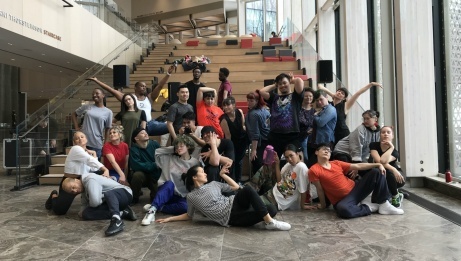 Halifax-based Mocean Dance performs athletic, vibrant contemporary dance, commissioning Canadian and international choreographers to create new works that are highly physical, collaborative, and technically and emotionally rich. Choreographed by Vancouver-based Serge Bennathan, one of Canada’s most distinctive choreographers, Sable Island embodies the relentless sway of the fierce ocean encircling the famous isle off the coast of Nova Scotia, and the mystery, isolation and untamed spirit of the wild horses that live there. Performed by a quintet of dancers, this bi-coastal collaboration features an original musical score by Montreal composer Bertrand Chénier, who transforms the theatre into a windswept island, ocean floor and rocky shoreline.